Ingredients: 175g (6oz) ricotta; 1 egg, beaten; 1 egg yolk; 4 tbsp cream; 50g (1 ¾ oz) Parmesan, freshly grated; 4 slices rustic white bread or ciabatta, split; 2 tbsp baby basil leaves; ready-prepared grilled peppers or sun-blush tomatoes, to serve. Rocket leaves, to serve. Heat the oven to 190oC (gas mark 5). Combine the ricotta, egg, yolk, cream and Parmesan in a small bowl. Season with a little salt and freshly ground black pepper. Spread this mixture on the slices of bread. Transfer to a baking tray and bake for 8-12 minutes, or until the cheese has puffed and is golden. Scatter with the basil and serve alongside the grilled peppers or tomatoes. Serve with rocket leaves. 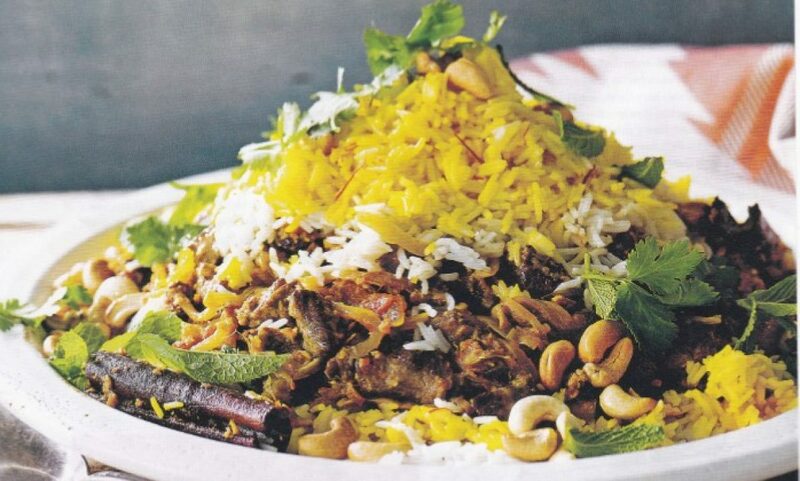 Tip: The topping mixture can be made and chilled for up to 1 hour before cooking if desired. Heat the oven to 180oC (gas mark 4). Cook the rice in boiling salted water until just al dente. Drain well. Stir the lemon zest, basil, cream and stock through the rice. Meanwhile, sauté the pancetta in a large frying pan over a medium heat until starting to crisp. Spread half the rice in a greased 1.5l (48 fl oz) baking dish. Top with half the pancetta, half the fontina, half the Parmesan and a knob or two of butter. Season with salt and pepper. Repeat and make another layer, finishing with the Parmesan. Bake for 20-25 minutes, until golden. Sprinkle with chopped parsley. Tip: Be careful not to overcook the rice. Give it just 11 minutes, as it cooks for a further 25 minutes in the oven. Ideal accompaniment to the Whole Barbecued Fish. 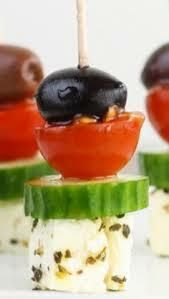 Divide the tomatoes, olives and feta cheese between 8 small wooden skewers. If using metal skewers, you may need to heat them first or the cheese may crumble. Place on a nest of salad leaves, drizzle with olive oil and sprinkle with chopped oregano. Serve with crusty French bread. If liked, add chunks of cucumber and wedges of read onion to the skewers, too. This slice makes great canapés, finger snacks or an accompaniment to soup. Most people buy ready-made puff pastry but if you want to make your own, here’s how. Melt 2oz (50g) butter, cool. Leave 5oz (150g) butter to soften. Sift 7oz (200g) plain flour and pinch of salt into a bowl. Make well in centre, pour in about 4 fl oz (120ml) cold water, a few drops lemon juice and the melt butter. Knead lightly, then leave to rest for 20 mins. On a floured board, roll pastry from 4 sides, leaving a lump in centre – dough should look like a crossroads. Sit remaining butter on the centre lump of the dough and fold over each pastry flap. Pat into a rectangle measuring about 6 x 12in (15 x 30cm), refrigerate for 10-15 mins. Roll pastry lengthways until double in length. Fold both ends into centre, then fold once more. This is called a double turn. Complete process a further 3 times. Always roll with folded edge on left and leave to rest for 20-30 mins in fridge before each turn. Leave pastry in fridge for a further 30 mins before using. This makes roughly 1 lb (450g) of pastry but you can freeze the excess. In a large frying pan, heat oil and fry onions for a few minutes until softened. Make sure onions do not brown. Allow to cool. Roll out puff pastry very thinly into a 12in (30cm) square. Cut square in half and on one half only, spread a little mustard, according to your taste. Then spread with the onions, bacon and cheese and cover with the remaining pastry half. Roll up pastry parcel like a Swiss roll, then leave to rest in fridge for 1-2 hours. Preheat oven to 220oC/425oF/Gas Mark 7. Remove roll from fridge, cut into ¾ in (18mm) slices, place on a greased baking sheet. Sprinkle with sesame seeds and bake for 12-15 mins until golden. Mix the oil, garlic and thyme and marinade the veg and cheese, reserving a little, for at least 15 mins or in the fridge overnight. Barbecue the peppers first (they can take up to 10 mins), turning occasionally. When the peppers are almost ready, add the asparagus for one min and then the Halloumi for 30 seconds on each side. Skin the peppers and mix with the cheese and asparagus. Season with salt. Stir the chilli sauce into the remaining marinade and drizzle over the warm salad. Would you like to try to make Halloumi? An Asparagus cooker when not grilling as in this recipe. Arrange the tomatoes and sliced mozzarella on a platter then drizzle with olive oil. Season and scatter over the basil leaves and olives. Set aside in a cool place until ready to serve. Just before you are ready to eat, toast the slices of Ciabatta until golden, then rub the surface of each with the garlic. Drizzle a little olive oil over the bread and serve warm with the salad. Do you have problems when slicing Mozzarella? Maybe this will help? Ingredients: 8oz/225g Brie; 1 egg, size 3, beaten; 2oz/50g dried wholemeal breadcrumbs; 1oz/25g mixed chopped nuts; oil for deep frying; lambs lettuce to garnish. Trim the brie into four equal triangles. Place the egg in a shallow dish and mix the breadcrumbs and nuts in another. Dip the Brie into the egg to coat, then into crumb and nut mixture, making sure all the sides are well coated. Shake off any excess. Heat the oil for deep-frying to 350oF / 180oC. Fry the Brie in two batches for 2-3 mins, or until the coating is golden. Drain well. Meanwhile, make the sauce: Heat the redcurrant jelly and port in a pan until the jelly is melted. Place the fried Brie on a serving plate, spoon a little sauce around it and garnish with lambs lettuce. Serve with the remaining sauce. This dish of avocados with sun-dried tomatoes, mozzarella slices, artichokes hearts and crisp bacon is a superb main course salad packed with flavours. The tomatoes can be bought dried, and need soaking in water to soften before use, or in oil in a jar ready for use. Supermarkets stock them. For the dressing: 4 tblsp olive oil; 1 tblsp white wine vinegar; 1 clove garlic, crushed; ½ tsp Dijon mustard; salt and freshly ground black pepper. Fry the bacon in a little oil until crisp. Drain on kitchen paper. Reserve. Cut sun-dried tomatoes into thick strips. Quarter artichoke hearts and cut mozzarella into thin slices. Place these in a bowl with the bacon and tomatoes. Peel and coarsely chop the avocado. Drizzle with lemon juice, then add to bowl. Shake all the dressing ingredients together in a screw-top jar then pour over contents of the bowl. Toss gently to avoid damaging the avocado. Serve immediately. Something for serving the salad. A real crowd pleaser on a cold day, one of the best things things about this dish is that it’s loved by young and old alike. Really easy to eat, it makes an ideal choice for a family lunch, especially if you’re having a casual fork buffet. Preheat the oven to Mark 6/200oC/400oF. Cook the macaroni in boiling salted water for 10 mins and drain. Grease an ovenproof dish generously with some butter. Now make white sauce. Melt the butter in a saucepan, then remove it from the heat and stir in the flour – keep stirring until the mixture is completely smooth. Put the pan back on the heat and cook for a further 1-2 mins. Gradually whisk in the pint of milk and cook the sauce, stirring all the time, until it has boiled. Stir the macaroni into the sauce with half of the grated cheddar, tip into the greased ovenproof dish and then sprinkle with the remaining cheddar. Bake for 15-20 mins until all the cheese has melted. Tips: A great advantage to this dish is that it can be spiced up in so many ways – and again most of the ingredients will be close at hand. 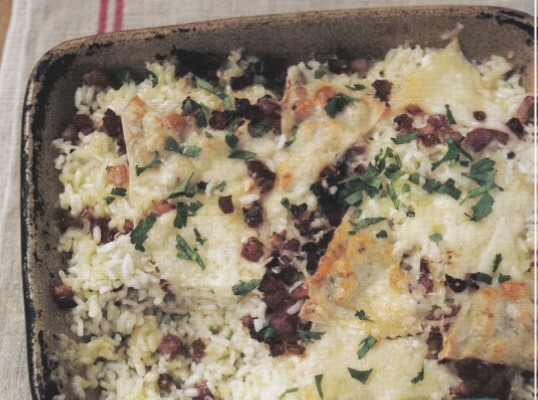 Fry an onion, mix into the cheese sauce and sprinkle with paprika and you’re well on the way to a real feast. To really go to town, fry bacon or chunks of pancetta and add to the sauce. Also try tinned tuna. Put the oil, Dijon mustard, garlic and vinegar in a screw-top jar and shake well. Arrange the chicory and rocket leaves on 4 plates. Place the bread slices and chunks of cheese separately on a baking sheet. Spread butter over the cheese, cover with the hazelnuts and cook under a preheated grill for 2-3 mins or until the cheese is evenly browned and the bread is toasted. Place a piece of toasted bread on each plate next to the salad leaves. Carefully place the cheese and hazelnuts on top and drizzle a little dressing over the toasties and salad. Serve immediately.